Here is the recipe link I followed. I didn’t have all the ingredients..so I subbed or left some out. I used worcestershire sauce instead of balsamic and it was really good still!.. Inwas running low on my fave bread so I put in an extra egg to hold it all together. I just had ground hamburger so I just used that…I also used Follow Your Heart shredded mozerella cheese instead of real cheese. 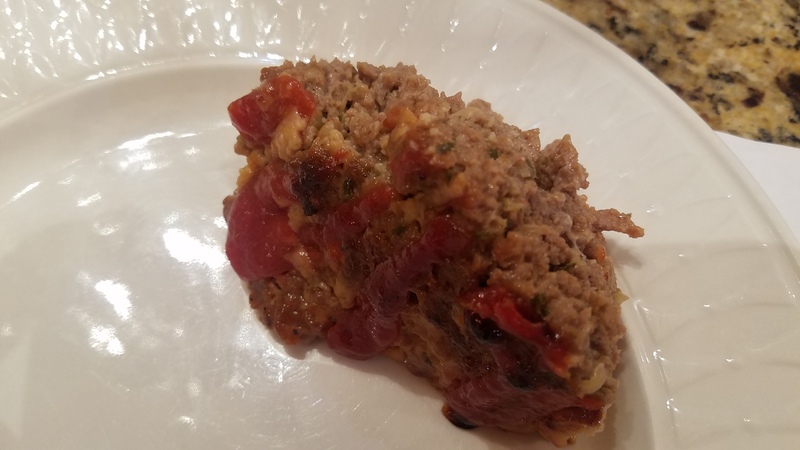 It was such a great meat loaf! 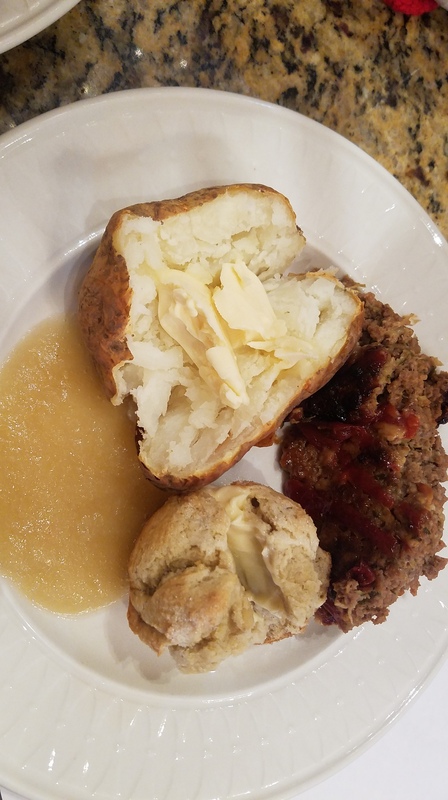 I rounded it off with a baked potato with Enjoy Life butter, homemade applesauce from my mom (heavenly), and a banana bread muffin. All dairy and gluten free:) Who says you have to starve when you have dietary restrictions, I don’t !! Thanks for the recipe! I’ll have to try it out as I miss meatloaf! You have me craving meatloaf now!